34 years, 0 month, 3 days old age. Luke Mitchell will turn 35 on 17 April, 2020. Only 11 months, 27 days, 22 hours, 0 minutes has left for his next birthday. Luke Mitchell has celebrated the total number of 34 birthdays till date. See the analysis by days count and bar graph. 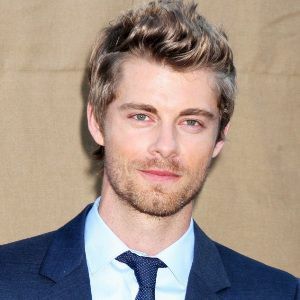 Luke Mitchell was born on 17-04-1985 in Gold Coast, Queensland, Australia. He is an Australian Television Actor, Model & Film Actor. Originally wanting to be a professional tennis player, Luke began his acting career in Melbourne, Australia. He trained at the Film & Television Studio International and traveled around Australia with international entertainment company, Sudden Impact Entertainment. In his first professional acting role he played the part of Chris Knight in the long running soap, Neighbours. Luke then moved to the Gold Coast, after he was hand-picked to play the lead role, Will Benjamin, in the third series of internationally acclaimed Children’s Drama Series H20:Just Add Water. On the back of such an impressive start in the Australian TV industry, Luke then moved to Sydney to join the main cast of Home and Away, playing resident heart-throb, Romeo Smith. In 2010, Luke won the Most Popular New Male Talent Logie Award for his portrayal of Romeo Smith. In November 2012, it was announced that Luke had chosen to leave Home and Away, shortly after in February 2013, Luke was cast as John Young in The CW’s remake of Tomorrow People which sadly only survived one season before the network cancelled the show. Luke married his co-star and actress Rebecca Breeds in 2013.